What is one of the best benefits of joining the Just You Loyalty Club? Online Check-In! You’ll love being able to view the wait times of your nearest Just Cuts salons, then join the queue at the location of your choice, all remotely through our mobile app. Download the Just You Loyalty Club app today and you’ll also receive $5 to use on any service or product of your choice! Perhaps you’re after a quick Style Cuts cut on your lunch break or after your grocery shop and want to see how long the wait is at your local Just Cuts salon. Or maybe you’d like to check one of the kids in for a trim while you’re waiting for the school bell to ring. Whatever your need, Online Check-In is for you! A complimentary shampoo with relaxing scalp massage on your birthday. Who doesn’t love birthday gifts? And much more. All you have to do is sign up! There are two easy ways to join the Just You Loyalty Club! You can choose whichever one works for you. Just remember, you can only check-in to the queue and access other member perks when you download the app and register for the Just Cuts Loyalty Club. 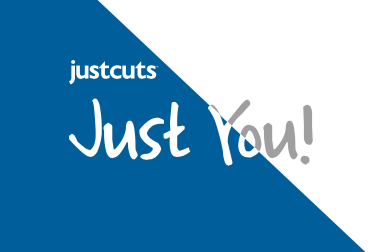 Download the Just Cuts app and register to join the Just You Loyalty Club and enjoy being able to check-in to the queue from the mobile app and start collecting loyalty points on your next visit at your local Just Cuts salon! If you would prefer to sign up in salon, we also have the option to register your details and pick-up your Just You Loyalty Club card.